FOUR BEDROOM EXTENDED SEMI DETACHED !! HOME ESTATE AGENTS are delighted to bring to the market this spacious extended property situated on a popular road close to Stretford Metro-link station and Longford park. 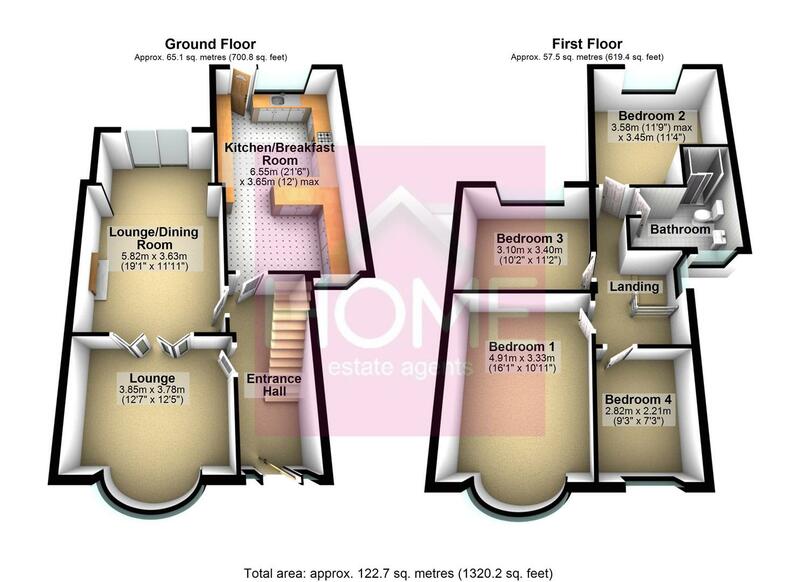 In brief the property comprises of, Entrance hallway downstairs W/C, bay fronted lounge, extended dining room, extended kitchen with utility area. to the first floor are four spacious bedrooms with a bathroom. the property benefits from being fully UPVC double glazed with gas central heating through out. To the front of the property is a gated block paved driveway and to the rear a generous sized mainly lawned garden with patio area and well stocked borders. Located close to Chorlton and Longford park with fantastic transport links including the Metro-link and just a short commute to Manchester city centre, Salford quays, Media city and the Trafford centre. also with good local amenities and popular schools making early viewing essential. Call HOME on 0161 871 3939 to arrange a viewing. UPVC double glazed door leading in, laminate floor, dado rail, picture rail, downstairs W/C and single panel radiator. UPVC double glazed bay window to the front elevation, laminate floor, picture rail, centre and wall lights, TV point and single panel radiator. UPVC patio doors to the rear elevation, laminate floor, TV point, picture rail and single panel radiator. UPVC double glazed windows and door to front and rear elevation, good selection of wall and base units fitted with roll edge work surfaces incorporating a 1.5 bowl stainless steel sink with mixer tap, double oven, gas hobs, extractor hood, tiled splash backs, tiled floor, down lights and double panel radiator. Leaded single glazed window to the side elevation, dado rail and loft access. UPVC double glazed window to the front elevation, fitted wardrobes and single panel radiator. UPVC double glazed window to the rear elevation, fitted wardrobes and single panel radiator. UPVC double glazed window to the front elevation, three piece fitted shower suite comprising of, walk in shower cubicle fitted with thermostatic mixer shower, low level W/C, wall mounted vanity sink unit, tiled to compliment and heated chrome towel radiator. To the front of the property is a gated block paved driveway with mature hedge row, to the rear is a spacious lawned garden with well stocked borders and garage which benefits from not being over looked.